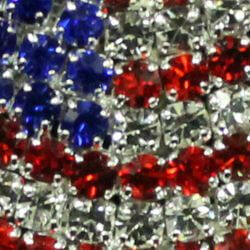 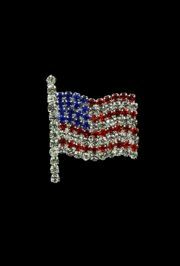 This rhinestone American flag brooch is great costume accessory for any patriotic event. 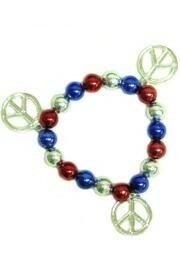 A metallic red, blue, and silver bracelet with silver peace sign medallions. 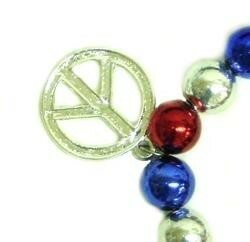 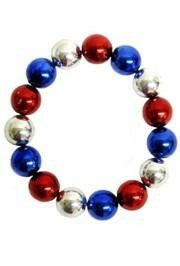 These are perfect for Patriotic parties and parades.